By tools we mean computer software. We use the programs noted below, but our collaborations are not limited to those programs or to those who use the same programs. We are adaptable in our design methods and are receptive to anyone who wishes to achieve the same goals as we do, that is an accurate and efficient structural project for users' safety and constructors' profitability. 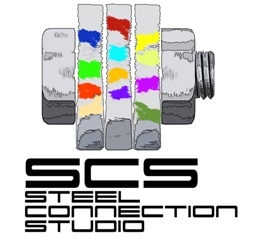 Our design methods include licensed programs such as Sap2000, SCS - Steel Connection Studio as Connection Design Software and other commercial software as well as Excel spreadsheets with macros developed in-house to accurately and quickly comply with various standards. Our experience is exceptional. We have an extensive library of specialized details and knowledge of international regulation that sets us apart from our competition. We prepare drawings in 2D (AutoCAD) or 3D (usually Tekla Xsteel or Solid Edge) according to the customer's needs and the complexity of the project. The drafting activity is made easier and more productive by the use of an extensive library of macros. The 3D models follow the same process as the workshop itself (first cutting, then punching of the pieces, then the parts are connected (welded and bolted) and finally the actual assembly is fabricated on the computer). This eliminates many prodcution problems. We pay careful attention to costs and coordination, which gives us a strong competitiveness in the detailing market.